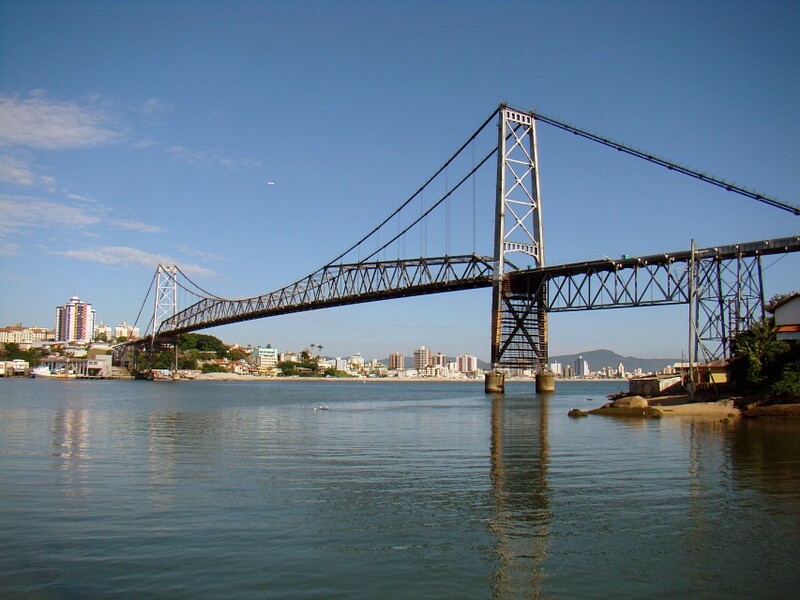 Florianópolis is the capital of the Brazilian state of Santa Catarina in southern Brazil. The municipality comprises the main island, the Island of Santa Catarina, the mainland, and some small surrounding islands. It is the second most populous city in the state. 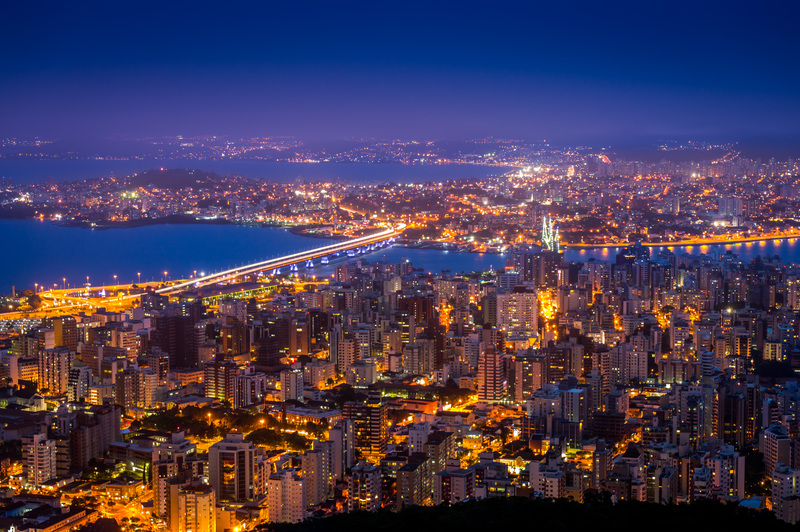 The city is known for having a high quality of life, being the Brazilian capital with the highest score of the Human Development Index. Florianópolis receives thousands of tourists throughout the year and among the attractions that draw more attention of visitors is the Campeche Island, the Sand Dunes, the Lagoons and the various beaches that in such calm seem to paradise. Also, what does not go unnoticed in the eyes of tourists is the hospitality of the people and the good city preparation to receive people from outside with several accomodation options to suit every budget. The festivities that occur close to Florianópolis and also attract the attention of tourists who often staying in the city are: The Brazilian Beer Festiva, The Oktoberfest and The Sommerfest, among others. Founded by pioneers from São Paulo in the second half of the seventeenth century, the old “Our Lady of Exile” had no urban life before the Azorean colonization. Headquarters of the captaincy of Santa Catarina since 1739, had been assigned by the Portuguese crown to supply food and manufactured goods, brought from Rio de Janeiro to Rio Grande do Sul. Its population grew rapidly after the ephemeral Spanish occupation, passing from 1,785 to 6,000 inhabitants. Declined in the mid-nineteenth century, its agricultural production and trade, reviving this in the second half, in Santa Catarina continent with European colonization. Its current name is in honor of Marechal Floriano Peixoto, due to the governor's initiative of Hercílio Luz in 1895. 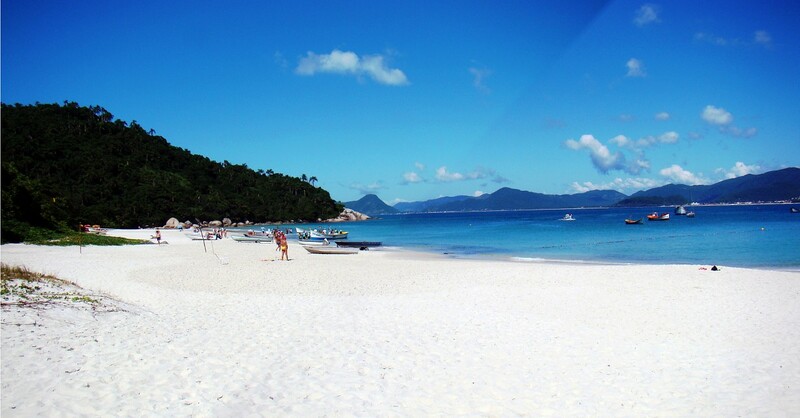 As permanent preservation areas, the dunes are, without doubt, one of the biggest tourist attractions in Florianópolis. It is virtually impossible for anyone to visit the island and not be charmed by its burning sands that protect the advance of the sea. 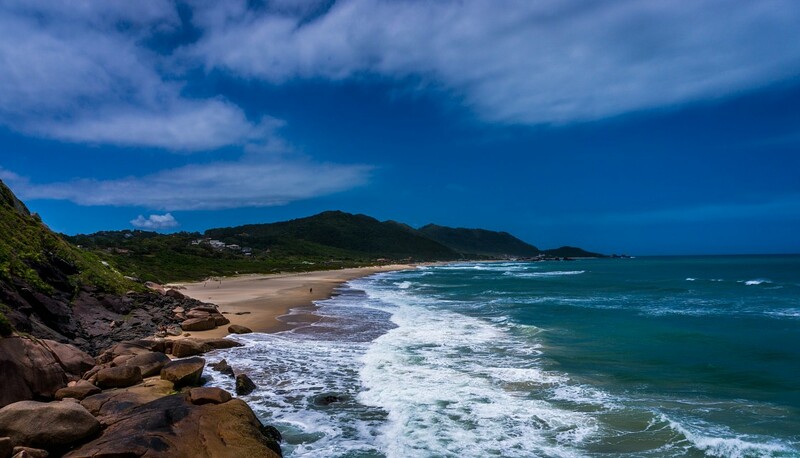 The most famous beach in Florianópolis is Joaquina which separates the Joaquina beach of the Lagoa da Conceição, and both are in the dunes. It was there that born the sandboarding, also known as “sand surfing”. Who wants to feel the thrill of sliding down the dunes on a surfboard can rent it on site. Located in the geographic center of the island of Santa Catarina, the Conceição Lagoon is the largest in the city, close to beaches, dunes, and mountains, the place became the best known natural tourist spot of Florianópolis. In the Conceição Lagoon, it is common to find windsurfers, sailing; kayaking, kite surfing; and jet skiing. But the spot stands out not only for its natural beauty, with the great movement of tourists, the trade in the neighborhood was also very favored. The night of the Lagoon also deserves emphasis - the large number of bars and restaurants (some among the finest in the city) make it the most popular spot in the summer. The Coast of the Lagoon had all his region listed by the city as Cultural Preservation Area so even, the place is considered one of the last strongholds of the Azorean culture with a core of fishermen and lace makers who still live as their ancestors. The main attraction of this tourist spot are the many home-style restaurants on the edge of the lagoon with dishes based on the seafood. Most of them are village women cooking what the men fished, without luxury infrastructure, with ingredients that were not marketed and family labor, the price of meals is as low as possible. Another attraction of the Coast of the Lagoon is the waterfall, which is close to the village. The cold water refreshes the visitors in warmer weather. But, do not be surprised if, in times of low rainfall, it is with a little water. Located at southeast of Florianópolis, in front of the Campeche Beach, the Ilha do Campeche has a rich ecosystem and is home to a representative portion of the archaeological heritage of the State of Santa Catarina. Formed by cliffs and hills covered in Atlantic Forest, the area has a unique beach with fine sand and extremely clear water. The sea, which has color ranging between green and turquoise, has few waves, pleasing divers and children. Since February 1940, the Campeche Island is under the care of the Association Couto de Magalhães, an entity that currently works for the preservation of the place. The island is rich in rock art and lithic workshops, has a harbor for small boats and offers bar service and public telephone. Considered one of the richest island fishing colonies, the beach of South Marsh has an area of 1.5 miles long, with open and rather rough sea. Most of its patrons are locals and tourists looking for a more peaceful place to live. In addition to having about 200 houses and crystal clear sea, there is always a lifeguard around - a magnet for couples with children. With good dining options, South Marsh is an expert in seafood. Barely the dawn, gives the air of his grace and the boats already beginning to live, bringing all freshly baked, ready to be savored. That is why the restaurants are always full of people. The Lagoon Barra is an important fishing center on the Island of Santa Catarina and each year, receives a greater number of tourists, attracted by the natural beauty and the friendliness of the locals, who treat everyone like old acquaintances. To receive those who come from outside, the region has many small hotels and restaurants. This church was built at a time when the city was ravaged by a plague. As San Sebastian is the patron saint of epidemics, the people started to have a great devotion to him. In addition, the Church marks the end of slavery and the beginning of immigrant labor, which gave the work neo-Gothic features. In front of the church is the San Sebastian Square, where on Saturday mornings happens to be a fair where the settlers sell their products - an activity that attracts several tourists for both the church and to the fair. Tainha - A local fish prepared with many spices, giving a spectacular flavor to the meat. Ostras gratinadas - a dish made with the famous oysters that are brought to the oven until became golden. Casquinha de siri - A delivery made with a blend of flavors, including caper mayonnaise, mustard, etc., and served on the famous shell of the crab. 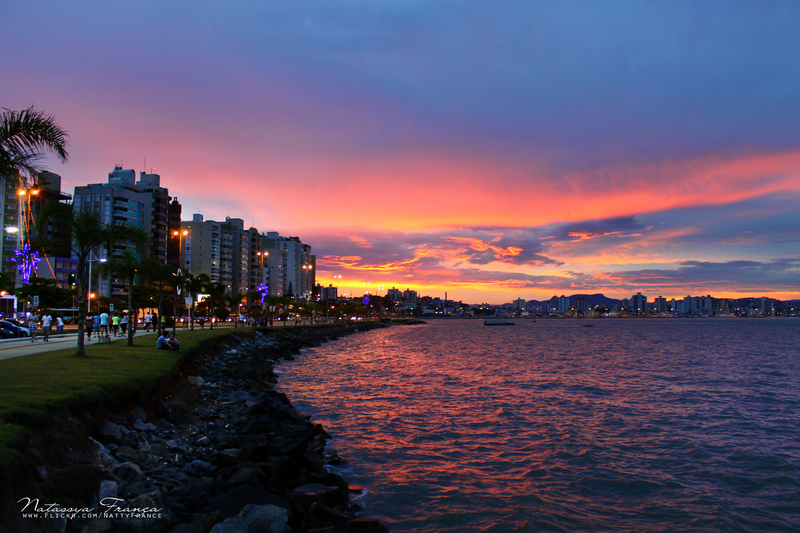 Being a tourist town, Florianópolis has several accommodations for different types of tourists. 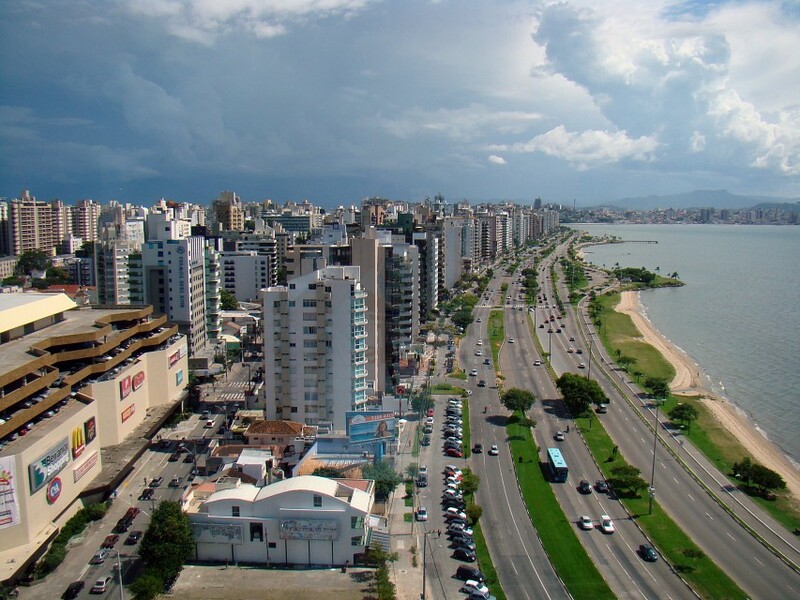 Among these accommodations are: Casa Albergue Hostel, Hanish Apart-Hotel; Gaivotas Praia Hotel, Santinho Hostel; Vintage Hostel Florianópolis, Hi Hostel Barra da Lagoa; Hotel Valerim Plaza, Hotel Cnasvieiras Internacional; Casa Arte Florianópolis, Garapuvu Hostel; and Hotel Costa Norte Ponta das Canas, among others.